When we say the word chocolat we directly start dreaming of desserts and heavenly food but when it comes to the newest french biographical movie Chocolat, this is not the case. The film talks about the first black circus artist in France that gained a phenomenal fame in the 19th century. Chocolat started his journey as a not so funny clown in a modest circus where he met George Foottit who decided to team with him to create humorous duo of a white and a black clowns. Little did they know that mash up would become paris next sensation and their lives will never be the same. 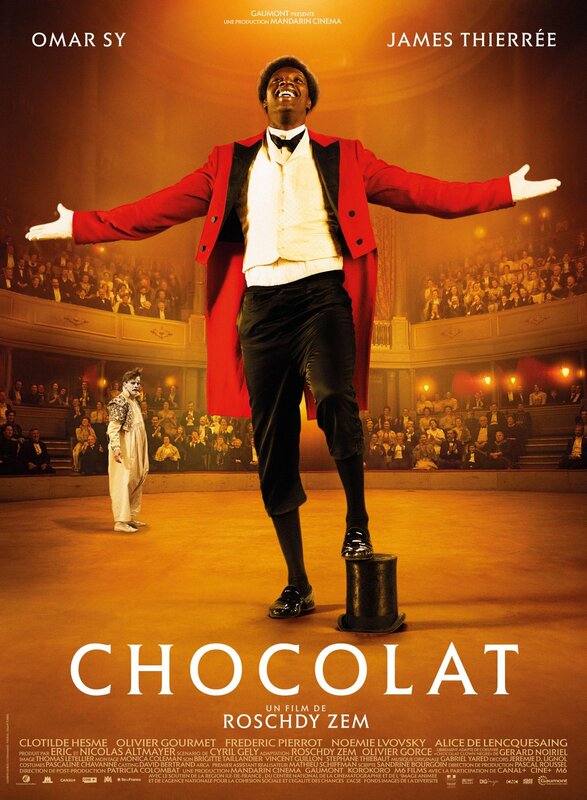 Chocolat took us back to the golden age where art was grandly appreciated and the circus was a big thing in entertaining people. We got to witness their road to fame and how it can impact individuals on all the levels. The performances of both Omar Sy and James Thiérrée were excellent and the storyline was quick and well structured.